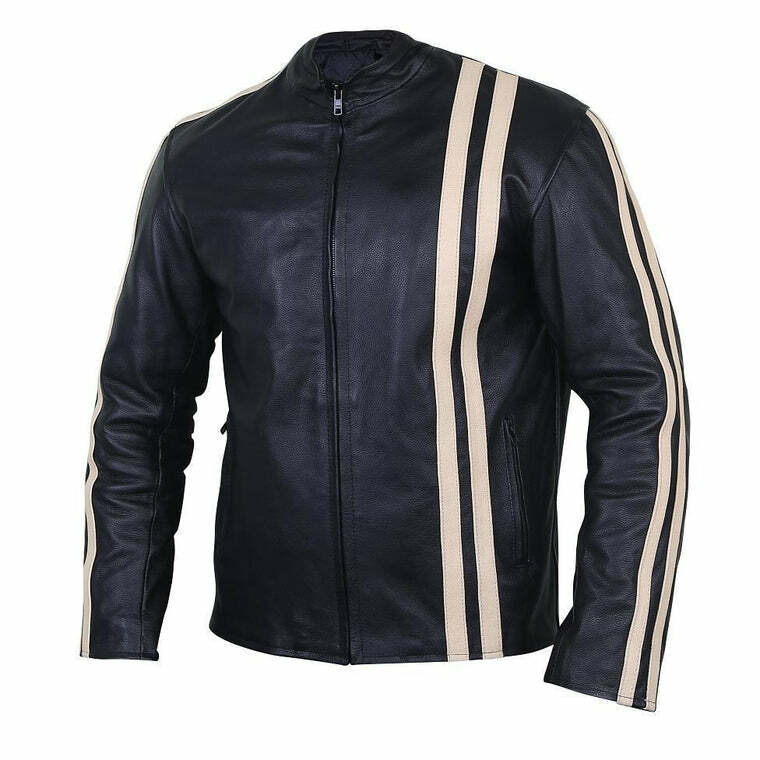 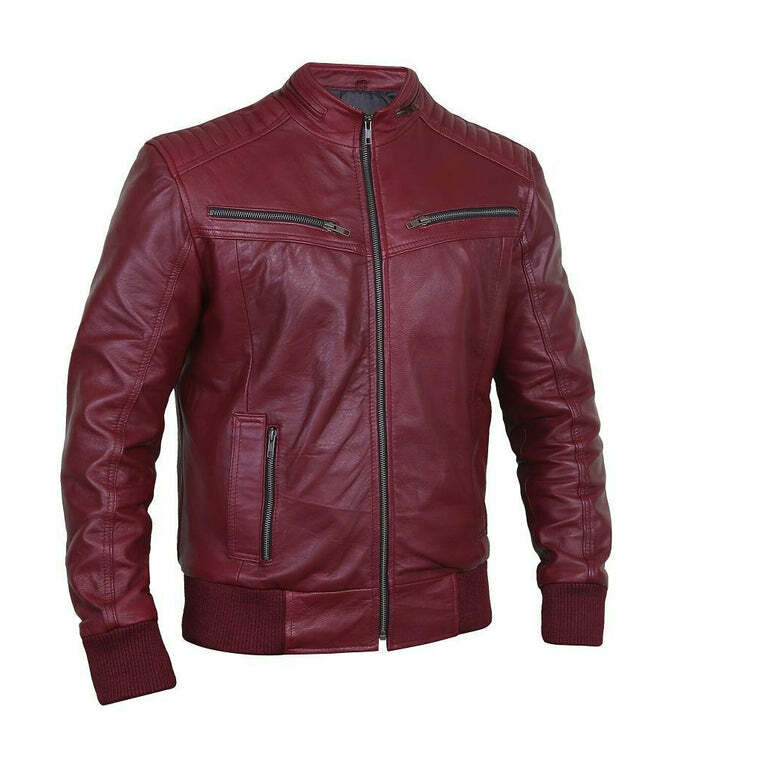 When you look at this jacket, all you can think of is a rock star. 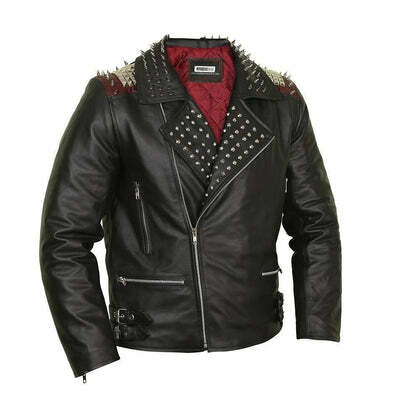 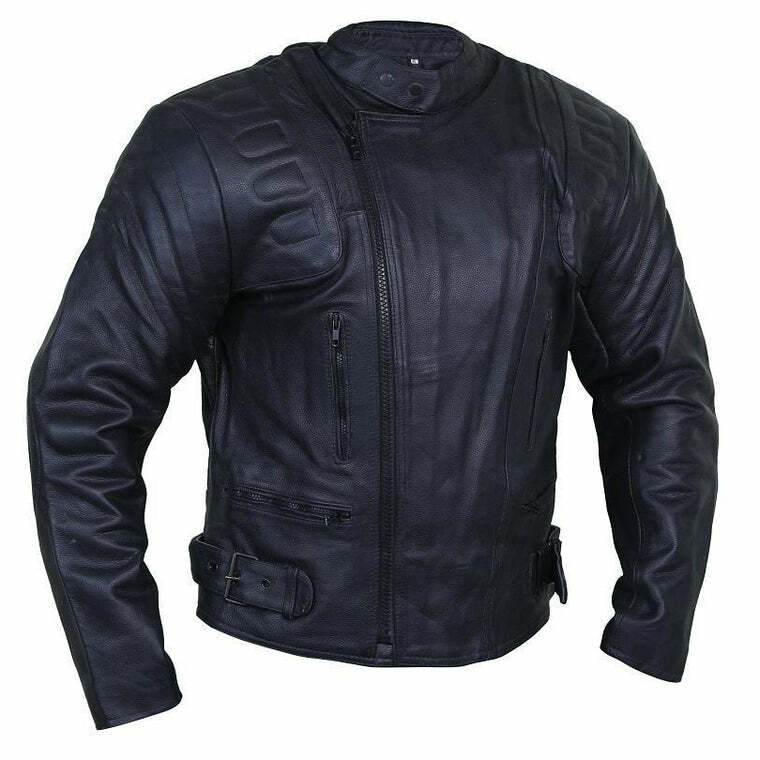 This is precisely what this edgy biker black leather jacket is all about. 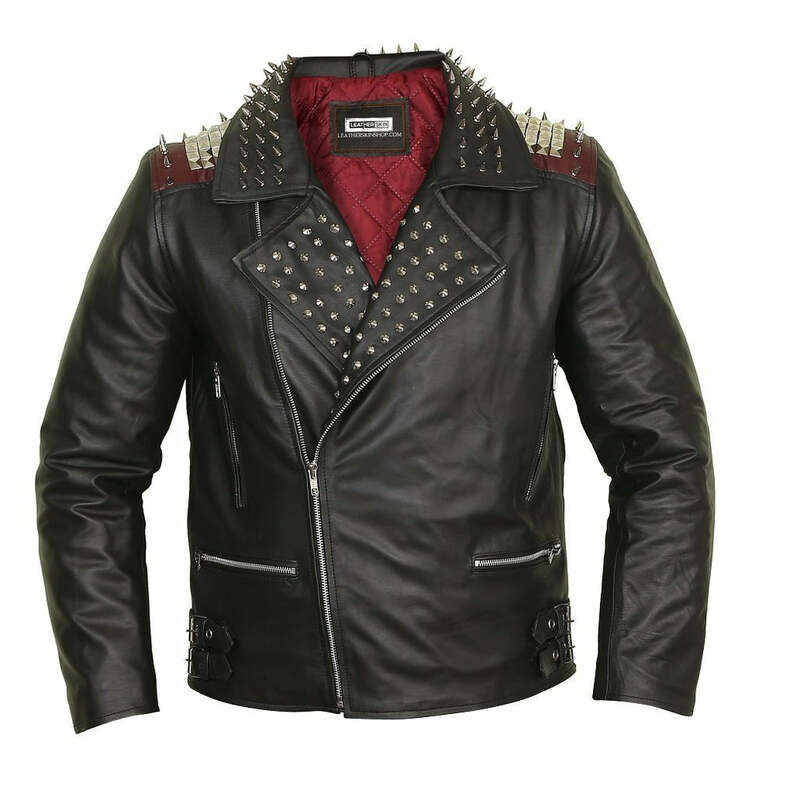 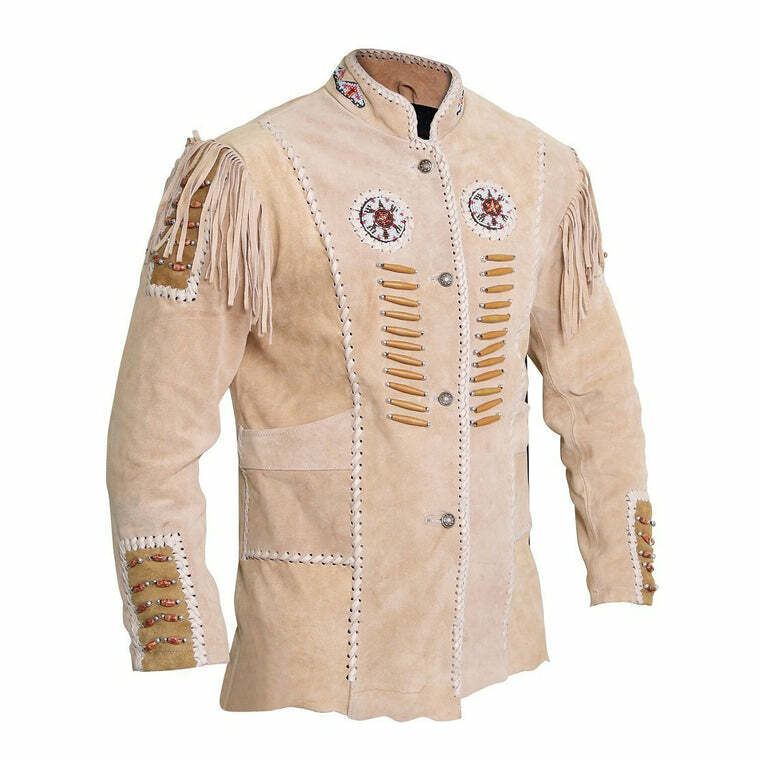 If there is one thing we can say about this jacket, it is that this is definitely for the faint of heart. 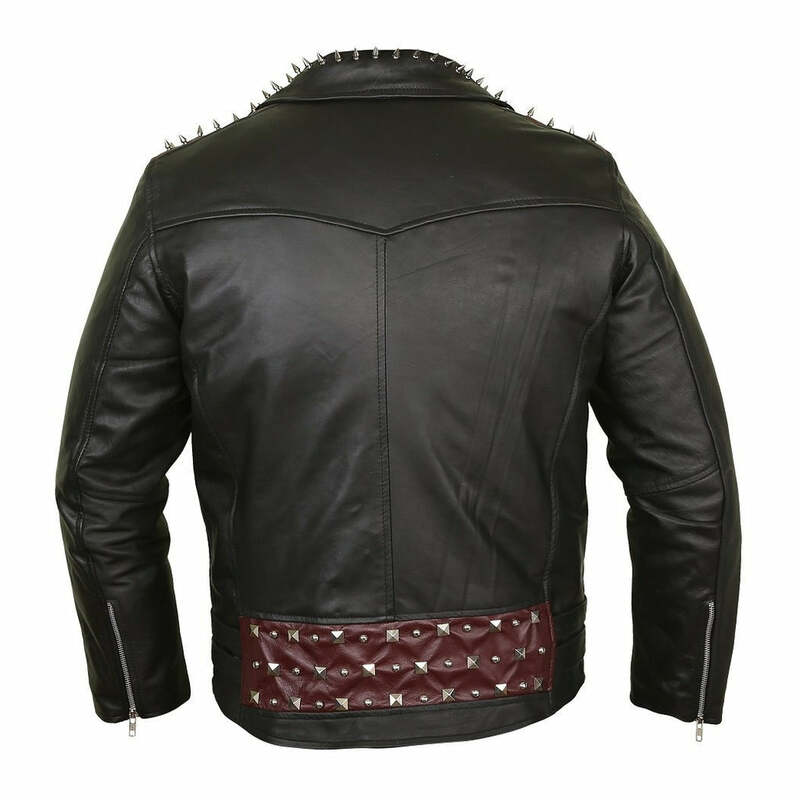 Black biker jacket with metal detailing on the shoulder and along the collar. 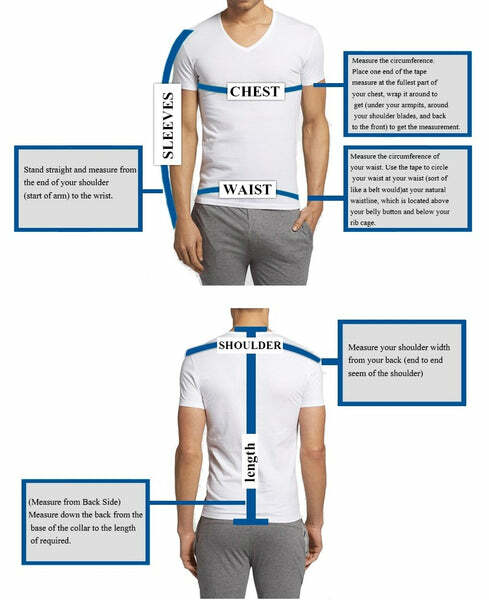 Angled zipper frontal closure with a pointed collar.